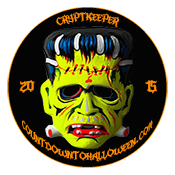 We here at The Big Scare are always looking forward to new Halloween treats. 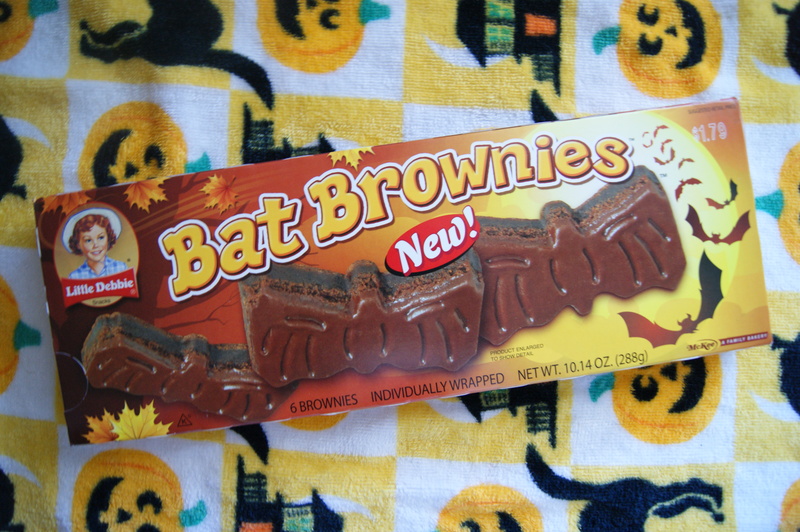 And this year, the folks at Little Debbie have already supplied us with some — Bat Brownies! While we must confess we were addicted to Little Debbie’s pumpkin pastries for a bit, we recovered and were able to move on with our lives. Now Little Debbie has released this new Halloween-themed goodie. We tried to resist making the purchase, but couldn’t. While we were certain that the Bat Brownies tasted like traditional chocolate-flavored, pre-packaged pastries, the shape sold us and we had to pick up a package. While we were right about the flavor and texture, and we still wish that the frosting would have been a little creamier, the unique design of these treats made us content with our purchase. Each package comes with 6 individually wrapped chocolate “bats.” So while they probably wouldn’t work for the millions of Treaters that come to your door on Halloween night, they may work well as a special treat in your child’s lunch or as a spooky indulgence on your part… especially if you are a recovering pumpkin pastry-aholic, like the authors of this article. If you should pick these up, share your thoughts in the comments. If not, tell us the name of your favorite Halloween treat below! ← Spook Spotter: Modern Horror Decor: Jason Candle Holder, Air Blown Freddy, More! Your content is very nice , i really like your post please continue to put your’s updates regularly.